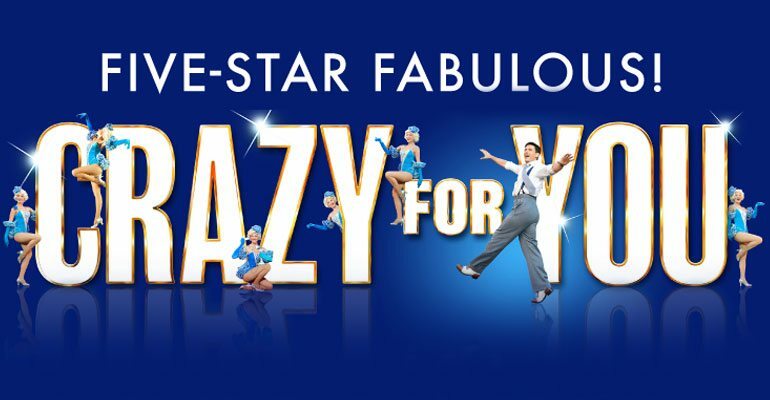 The Tony Award winning Gershwin musical 'Crazy For You' transferred from the Regent's Park Open Air Theatre to the West End's Novello Theatre in Autumn 2012. The production was heralded as a 'musical triumph' by critics and received a string of five star reviews. After playing to packed audiences at the beautiful Open Air Theatre in Regent's Park, the Novello production included the same leading cast - most notably leads Clare Foster and Sean Palmer. Tim Sheader's direction and Stephen Mear's choreography brought new life to classic numbers such as 'I've Got Rhythm', 'Slap That Bass', 'Embraceable You' and 'Someone to Watch Over Me', all delivered by Musical Director Gareth Valentine's stunning band. This Gershwin classic was a treat for all the family and delighted audiences at the Novello Theatre for six months. I was lucky enough to see this towards the end of the run. I really enjoyed it and thought the leading actors were all top notch. The choreography and dance numbers were highlights of what is a very slick production. I loved this show! I saw it four times in all - but I liked it best at the Park. Some great songs and dances - everyone I took to it really enjoyed themselves. I would go again but it is closing! The show was good, but I thought the singing was a little bit too quiet in places. The girls had very nice voices, and I really enjoyed the songs and costumes. Thank you. Fun, flashy and a bit silly! The story is a bit silly but it's good for a gloomy January! A really great production of one of my favourite musicals!! I saw this musical twice - it was even better in the West End than the Park (where I did get a little bit wet!). Such a fantastic musical, my parents had a wonderful anniversary night out!